The 23rd Michigan Women's Open at Crystal Mountain. 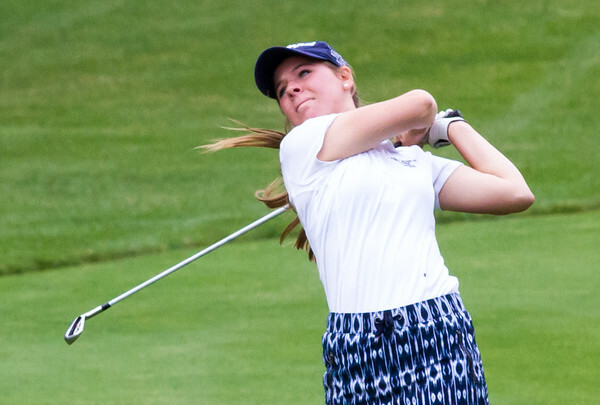 Record-Eagle/Brett A. Sommers Traverse City West graduate Taylor Kehoe hits from the fairway on No. 10 at Crystal Mountain Monday during the 23rd Women's Michigan Open. Kehoe shot an opening round 13-over 85.